All the fighters slated to participate in tomorrow night’s “UFC 194: Aldo vs. McGregor” event tipped the scale Friday inside MGM Grand Garden Arena in Las Vegas, Nevada. 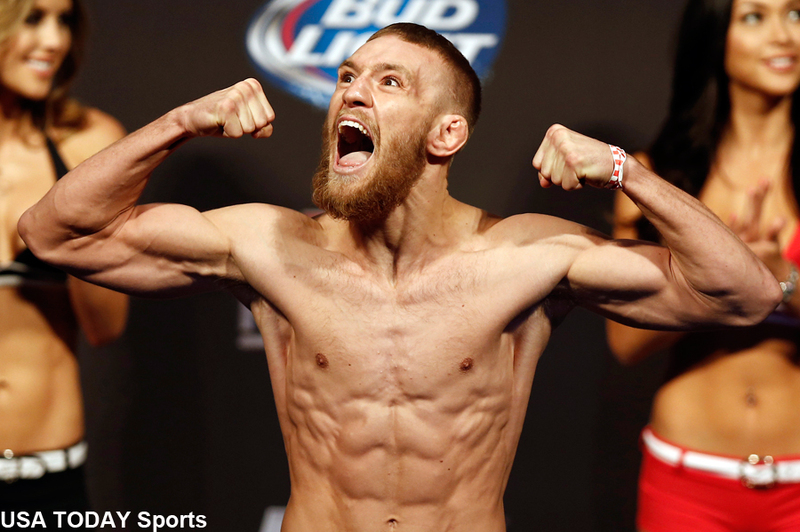 Interim featherweight champion Conor McGregor (pictured) and featherweight champ Jose Aldo look to unify the 145-pound belt in Saturday’s featured contest. Middleweight champ Chris Weidman defends his throne against former Strikeforce champ Luke Rockhold in the co-main event.